Despite Kyiv’s conciliatory tone and attempts to diffuse tension in relations with Hungary, Budapest is interested in escalating the situation as much as possible in order to mobilize voters in Transcarpathian Region against the current Ukrainian government at the next presidential and parliamentary elections. Therefore, Kyiv has only one option left, that is to cut the ground from under Budapest’s arbitrariness in Ukraine's Transcarpathian region in order to prevent it from drawing local residents into the political games of the Hungarian authorities. 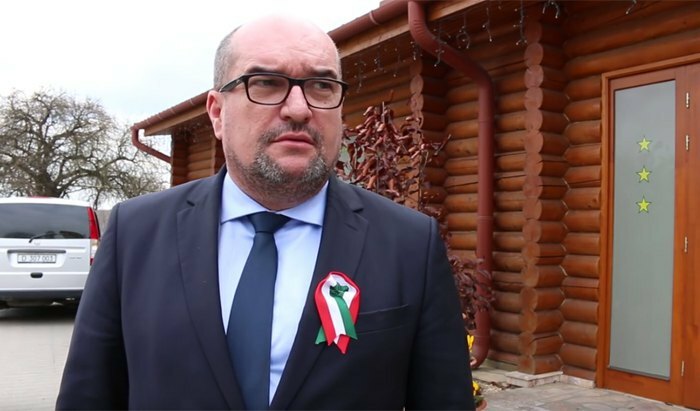 Despite the mutual expulsion of consuls, as well as a series of unfriendly statements about Ukraine by Hungarian Foreign Minister Peter Szijjarto, which he blurted out after his consulate in Berehove was caught illegally issuing Hungarian passports, Kyiv still does not lose hope to at least take the public rhetoric down a notch. At first, the Ukrainian Foreign Ministry suggested that Szijjarto recalled the "busted" consul. He refused. 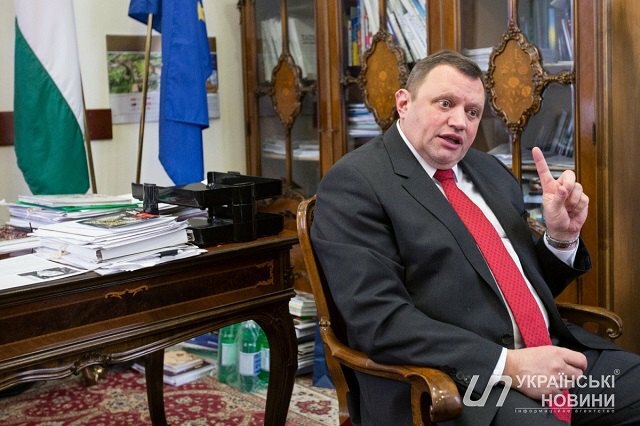 Then Kyiv promised not to block the appointment of a new Hungarian ambassador to Ukraine. And on Monday, 15 October, Pavlo Klimkin met with his Hungarian counterpart Szijjarto on the sidelines of the meeting of EU and Eastern Partnership foreign ministers in Luxembourg. And it seems that the ministers even reached an agreement there: a Hungarian official once again promised to change the name of the post of the "commissioner for Transcarpathian affairs" in the Hungarian government. They also agreed to conduct comprehensive consultations on the situation in bilateral relations at the level of heads of consular departments. "We are not at war with Hungary because we are at war with the Russian Federation which carried out armed aggression. But we need to find a common language with Budapest," Klimkin said optimistically after the meeting. The Ukrainian Foreign Ministry's respect for diplomatic canons is certainly admirable. But since negotiations are a two-way street, it is important for the Hungarian side to be ready to hold them not only in words. After all, practice shows that earlier Hungarian officials easily violated the agreements reached: did Budapest promise Kyiv not to block the meeting of the Ukraine-NATO commission? It promised but did not keep its word. Szijjarto already promised Klimkin to rename the post of the "commissioner" on 31 August? He promised. But a month and a half later, anything has hardly changed. Perhaps this time the Hungarian side will fulfil the promise after all. However, such diplomatic overtures will only be a "cover-up" for Viktor Orban's government to continue to implement his real policy. "I see a purpose and do not see any obstacles"
At the height of Russia's occupation of Crimea and the beginning of the war in Donbas, speaking in parliament after the election triumph in May 2014, Hungarian Prime Minister Viktor Orban said that Hungarians abroad, first of all in Ukraine, are entitled to dual citizenship and autonomy. "The position of 200,000 ethnic Hungarians living in Ukraine makes this issue especially acute. 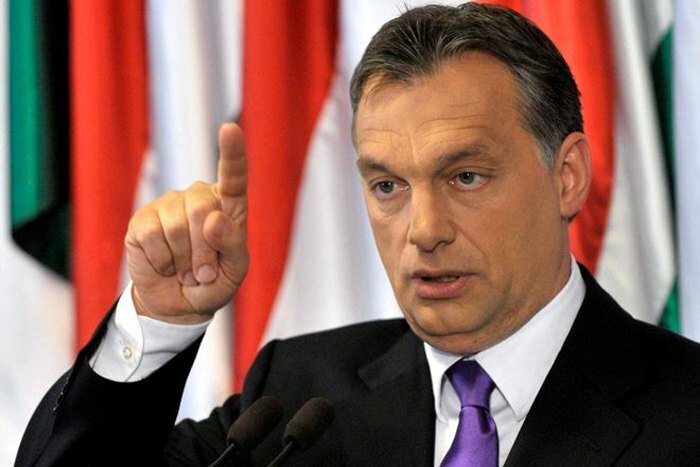 The Hungarian community there should receive dual citizenship, all the rights of the national community, and also it should be given the opportunity of self-government," Orban said back then. In this speech, he focused on potential threats to the Hungarian minority in connection with the Russian aggression and the actual relaunch of Ukrainian statehood. Then, in March 2017, Deputy Prime Minister Zsolt Semjen confirmed his prime minister's position at the presentation of the book “Minority Rights. Representation of Interests. Autonomy". 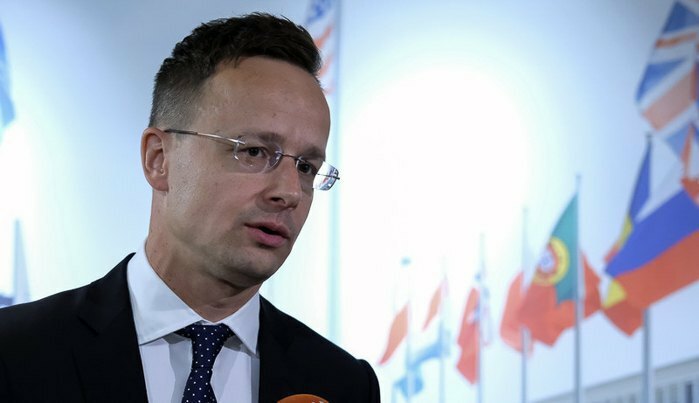 "The survival of Hungarians living abroad depends on whether they can achieve success, moving in the direction of achieving an autonomy," he said. The Hungarian ambassador to Ukraine, Erno Keskeny, also chipped in on the issue. He said that there was nothing bad in autonomy. "We believe that there is nothing bad in autonomy. There are a lot of practical examples in the European Union," he said. However, he chose not to say that there are many such examples because all such countries are members of the EU. In the meantime, Budapest does not want to see Ukraine in the EU. It even promises to discourage it in every way. Keskeny also recalled that in December 1991, when the vote on the independence of Ukraine was held, Transcarpathian Region and Berehove District simultaneously voted on independence. "The majority in the country supported independence. 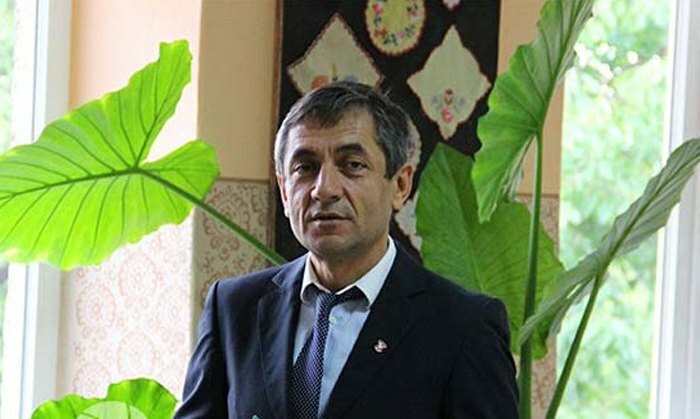 At the same time, 78% of residents of Transcarpathian Region supported autonomy for the region, while 82% voted for the autonomy of Berehove District," the ambassador said. Viktor Orban's speech, remarks by Deputy Prime Minister Semjen, the Hungarian ambassador to Ukraine and statements of other Hungarian officials are far from being a slip of the tongue and not an accident. For Orban personally, this is an ideological speech that maps the course of the current Budapest government for the "spiritual rebirth of Hungary", that great Hungary which, according to the Trianon Agreement of June 1920, actually lost two-thirds of its territory and many other attributes of imperial grandeur. As a Hungarian politician, Orban has been advocating a policy of building a national state for a quarter of a century, and as the leader of the country, he has been implementing it for the last 7-10 years. For others, such high-profile statements are the articulation of the statist position of the current Hungarian government. Besides, it meets the expectations of a significant part of the Hungarian electorate. And now, after four years, Orban's government is trying again to use the potential weakness of the Ukrainian state, intrinsic to the election period, to accomplish its tasks on the path to a strategic goal. Obtaining autonomy is a strategic goal, the path to which is based on three factors: the creation of the Hungarian sociocultural environment (first of all linguistic), the mass issuance of passports to Hungarians abroad, and the creation of sociopolitical organizations for ethnic Hungarians in countries where they live in clusters. Unconditional priority in the creation of the Hungarian sociocultural environment is given to the study of the Hungarian language: Budapest does not spare money for all kinds of programmes to support Hungarian-language media abroad as well as language courses. Naturally, the Ukrainian law on education, which destroys Hungary’s monopoly on the consciousness of the Hungarian minority in Transcarpathian Region, causes so much protest and fierce opposition from Budapest. Mass issuance of passports to Hungarians abroad is carried out in the framework of the dual citizenship programme. In May 2010, Orban's office approved a simplified procedure for receiving a Hungarian passport for ethnic Hungarians. The infamous video recently leaked online clearly shows how Budapest issues passports to Ukrainians. Public political organizations of foreign Hungarians are called to promote and protect the interests of Hungarians in national countries. During the election period, they act as political parties, promoting their candidates for deputies of various levels. Over the past three to four years, Budapest has been coordinating the work of these organizations, providing them with ideological and other support and monitoring. In Serbia, this is the Union of Vojvodina Hungarians, in Romania it is the Democratic Union of Hungarians of Romania (RMDSZ), in Slovakia it is Most-Híd. In Ukraine, this is the Hungarian Culture Society of Transcarpathian Region (Kárpátaljai Magyar Kulturális Szövetség –KMKS) and the Democratic Union of Hungarians of Ukraine (UMDSZ). All these organizations have their representatives at different levels, up to the national parliaments: the head of the KMKS, Laszlo Brenzovych, is a member of the Ukrainian parliament (Petro Poroshenko Bloc faction). At the local level, there are now discreet quotas for Hungarians. For example, a representative of the Hungarian community, Josyp Borto, is the first deputy speaker of the Transcarpathian regional council. One of governor Hennadiy Moskal's deputies was also appointed under the Hungarian quota. Representatives of other nationalities living in Transcarpathian Region (Romas, Romanians, Slovaks and Czechs) have no such quotas. Moreover, there are active negotiations underway on new political alliances in the coming elections. Thus, the For Life political party (Rabinovych-Medvedchuk) offered the Hungarian Culture Society of Transcarpathian Region cooperation in the 2019 presidential and parliamentary election campaigns. In exchange for Hungarians' support, the political force of Rabinovych-Medvedchuk guarantees a representative of the Hungarian Culture Society of Transcarpathian Region a place on its future ticket for the parliamentary election. The idea of autonomy for foreign Hungarians under the patronage of Budapest is expected to bring Hungary the status of a regional EU leader in the Carpathian basin - and Budapest makes no secret of this. These efforts of Orban’s cabinet pose a threat not only to Ukraine, but also to the European Union: Budapest introduces another factor of discord in relations between the European countries of the Carpathian region. And this destroys an ever so flimsy unity of the EU countries on other issues on the European agenda. Ukrainian elections as a chance to "make profit"
The current leadership of Ukraine is defending the country's territorial integrity not only in the east or south, but also in the west. And it is obvious that Kyiv will not allow Budapest to freely boss around in the Ukrainian territory without the knowledge of the Ukrainian authorities. 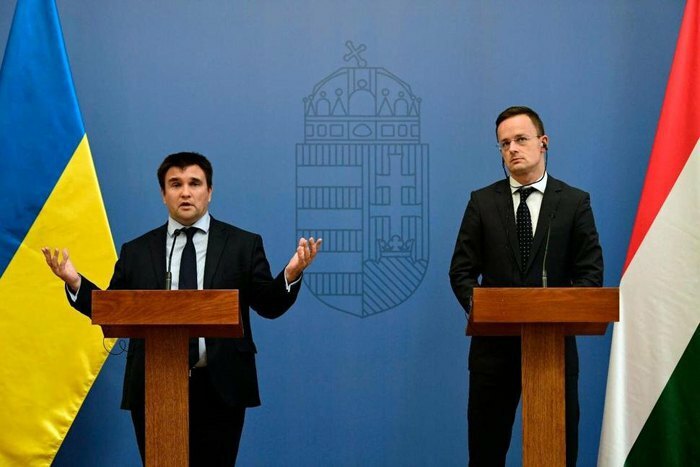 "Either we will work together and coordinate our steps, or Hungarians will not work there," Klimkin warned in Luxembourg on 15 October. Therefore, the Hungarian leadership is relying on two factors. The first is that it hopes Russia will succeed in splitting Ukraine by military (expansion of the occupied territory) or political means (federalization through the granting of special status to militant-controlled areas of Donetsk and Luhansk regions). The second factor is that it hopes for a change of power in Ukraine. Budapest has been actively involved in this process by directly interfering in Ukraine's internal affairs. Unlike most countries in Europe and the world, which view the electoral cycle in Ukraine as a risk, the risk that comprehensible and predictable Petro Poroshenko will be replaced by revanchists or populists, the Hungarian authorities consider the Ukrainian elections as a chance, a chance to change bilateral relations in their favour. To achieve this, first, Budapest began to form a lobby out of Ukrainian politicians: Ukrainian politicians — Yevhen Murayev, Oleksandr Vilkul, Nestor Shufrych and even "downed pilot" Vasyl Volga — became frequent guests to Hungary, promising Budapest to block and then abolish the language clauses of the education law. Second, public statements by Hungarian officials can be easily interpreted as interference in the Ukrainian elections. Usually, when foreign politicians are asked who their country will support in elections, they answer that "this is your internal affair" and that they "support principles, not persons" and so on. Russia was an exception in its time: Moscow openly supported Viktor Yanukovych in 2004 and 2014, this interfering in the internal affairs of Ukraine. Now Hungarian politicians have taken the same path. "While Ukraine is headed by the incumbent president, the incitement of hatred against Hungarians by the Ukrainian state will not stop." Only "after the next presidential election in Ukraine, this situation may change," Szijjarto said. Such a frank call on Ukrainian Hungarians not to cooperate with the current government by an official of the neighbouring state clearly goes against the accepted diplomatic practice and basic political decency. Third, the Hungarian authorities continue to work in Transcarpathian Region, bypassing Kyiv. After the scandalous video showing a Hungarian citizenship ceremony in Berehove, Szijjarto, as I have mentioned above, chose a tactic of escalating the confrontation. But one should not think that this is his own initiative, the aggravation of relations with Ukraine is the policy of the entire current political class in Hungary. A proof of this is the recent visit by a Hungarian to Transcarpathian Region, which included Secretary of State for National Policy Arpad Janos Potapi, the head of the Transcarpathian department at the State Secretariat of Hungary, Katalin Ljubka, the head of the office of state secretary Z. Kadar, as well as Hungary's general consuls in Uzhhorod - Jozsef Buhajla - and in Berehove - Matias Siladi. During their visit to Ukraine, they held confidential talks on the current situation with the administration of the Hungarian Culture Society of Transcarpathian Region and the Democratic Union of Hungarians of Ukraine. They said Budapest was investigating the leak of a scandalous video from the consulate in Berehove, showing Transcarpathian residents being issued Hungarian passports and asked to keep it secret. Hungarian special services are running thorough checks on those who apply for fast-tracked citizenship. 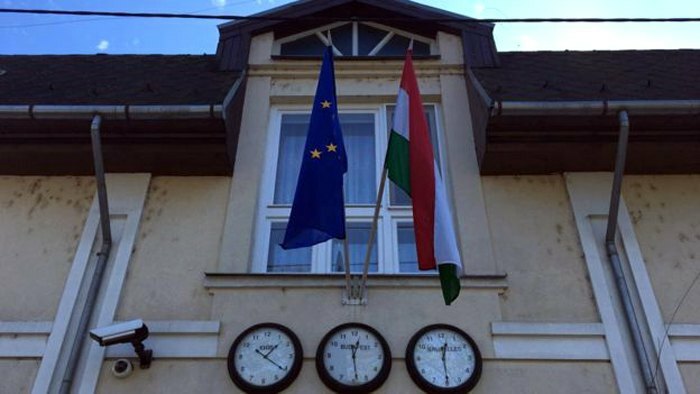 The Pro-Hungarian organisations, in turn, said that because of extended checks of Ukrainian Hungarians for dual citizenship at the border, they and the consulates reopened legal aid centres. 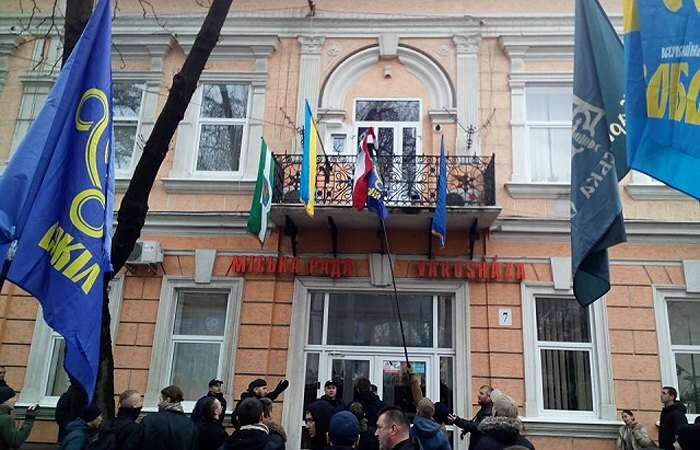 Interestingly enough, a similar centre used to work in 2015 when its lawyers helped Transcarpathian Hungarians to dodge mobilization to the Ukrainian army. Further coordination of international efforts on counteracting the language clauses of the Ukrainian education law was also discussed. The participants in the meeting agreed that at international events they will insist that the law "limits" the rights of minorities. As Laszlo Brenzovych (I would like to stress that he is a Petro Poroshenko Bloc MP) did on 11 October 11 in Brussels at a meeting with European Commissioner for Education, Culture, Youth and and Sport Tibor Navracsics and President of the European Parliament Antonio Tajani. "Hungarians' position has never been so bad in the history of independent Ukraine," Brenzovych said. High-ranking Hungarian official Potapi said about Budapest's intention to pass an address to the European Commission and the EU Council, which would accuse Kyiv of "violating" its obligations under the EU-Ukraine Association Agreement. As for Budapest financing the programmes of the Hungarian national minority in Transcarpathian Region, this September alone, the Hungarian Culture Society of Transcarpathian Region allocated 570m forints (about $2m) through the branches of OTP Bank to the Hungarian-speaking population in assistance to children who study in Hungarian-speaking schools and kindergartens in the region. This amount was allocated by the Hungarian government through the Bethlen Gabor Fund. It did not go without a discussion of the military and political situation, namely, the plans to station a standing military contingent in the town of Berehove. According to the representative of the Democratic Union of Hungarians of Ukraine, Laszlo Zubanich, this "will upset the ethnic balance" that has formed in Berehove and the area over the past decades. Moreover, this step of the Ukrainian authorities allegedly contradicts the agreement on cooperation between the Hungarian Republic and the former Ukrainian SSR. 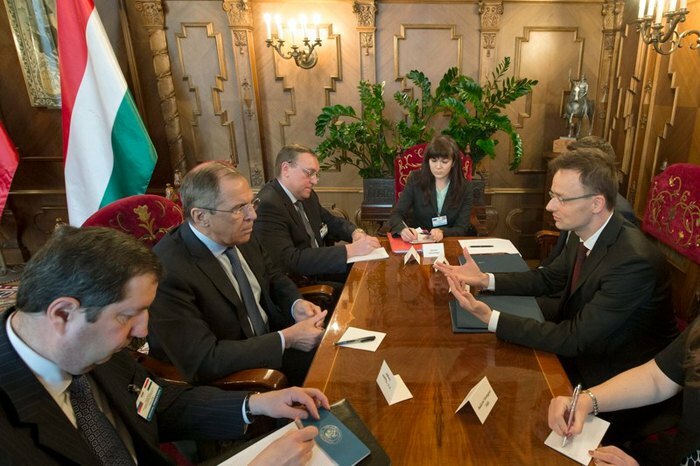 Hungarian officials get very nervous when they are accused of coordinating current actions with Moscow, which for four years has been trying to change the government in Ukraine first by military means, then by terrorism and sabotage, and now also with political methods. Because Russia is "toxic", Budapest is trying to avoid a "Hungary-Russia" connection because it calls into question the independence of the Hungarian authorities. But the facts are a stubborn thing which shows quite the opposite. First, Szijjarto's harsh statements about Ukraine began and continued, by a strange coincidence, at joint events with Sergei Lavrov (New York on 19 September 2017, followed by Moscow on 3 October 2018). "The ministers expressed concern about the education law passed by the Ukrainian parliament, which limits the rights of ethnic minorities to education in their native language," the Russian Foreign Ministry said then. Second, it is Moscow that helps the Hungarian authorities share information about the "oppression of Transcarpathian Hungarians" internationally. So, it was the Russian delegation which distributed such materials at the OSCE conference in Warsaw in September. And this brochure was printed in Moscow. Orban closely cooperates with Moscow on economic matters as well - and he intends to develop these relations further despite European sanctions and EU policies. On 18 September 2018, at a meeting with Russian President Vladimir Putin, the Hungarian prime minister insisted that Moscow should consider an extension of the future Turkish Stream gas pipeline to Hungary. Thus, he made a nod to Russian plans to increase the volume of Russian gas supplies to Europe, while excluding the real and potential opponents of Moscow’s imperial policy from among the transit countries (including Ukraine, Belarus, Poland and Lithuania). Rosatom is also building two additional generating units of the Hungarian nuclear power plant Paks. And during his visit to Moscow on 3 October, Szijjarto announced that in 2020, Budapest would buy 4bn cu.m. of gas from Moscow. 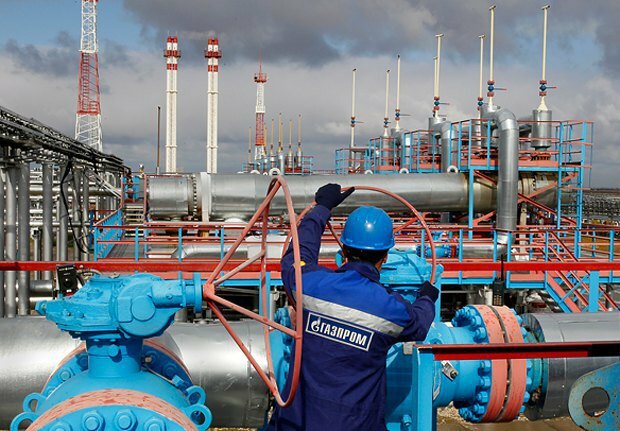 And although the cost of Russian gas for Hungary is kept in the strictest secret, practice shows that Moscow always uses gas either as a stick or as a carrot. So, if you take into account all these factors, Budapest and Moscow can not only play along on the Ukrainian issue but also coordinate their joint actions against Ukraine. And, apparently, not for nothing. In the heat of discussion about recent events, the main question journalists have been asking experts is what should be done next. There are proposals to meet the Hungarian authorities halfway. However, it is naive to hope that Orban and his team will de-escalate the current situation since they are just interested in raising the degree of conflict for the reasons described above. But it is much more realistic for all public offices in Ukraine to work with Transcarpathian residents. First, Transcarpathian Region should be pulled out of the language, logistic-transport and humanitarian "ghetto". To do this, one needs to ensure the reform does not get rolled back in the future, as well as develop measures to help both students and teachers of the Ukrainian language. Roads will need to be repaired and built and an airport launched to ensure a transport connection between the region and Ukraine, to stimulate the flow of tourists here. It will be necessary to complete the formation of territorial communities in the framework of decentralization so that local authorities could receive real money to improve their infrastructure. Second, there is a need for public outreach. Foreign Minister Pavlo Klimkin set an example by paying a trip to the region and meeting representatives of ethnic communities, clergy, Roma organizations and the media. He was there to dispel fears that those with second passports may get imprisoned. But also to warn about the ensuing risks. We also need to support the projects of Ukrainian, Roma, Czech and other public organizations in Transcarpathian Region, whose activities are geared towards the peaceful coexistence of a multinational region within Ukraine. And prevent a "witch hunt" for Ukrainian Hungarians over their second passports. They receive them not because of hatred for Ukraine or because of a sudden love for Orban's new Hungarian empire, but mainly for economic reasons. The ultimate goal of the Ukrainian state’s efforts is to cut the ground from under the arbitrariness of the authorities in Budapest, who behave in Ukraine's Transcarpathian Region as if this were their own territory. But the main thing is to prevent the residents of Ukraine's Transcarpathian Region from getting involved in the political games of the Hungarian authorities.